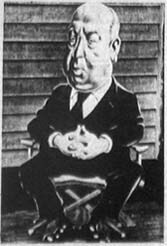 Hitchcock Manor... one of the most unique yet undocumented rides to grace the Wildwood Boardwalk... and just one of the many created by Freddy Mahana for the Morey family. 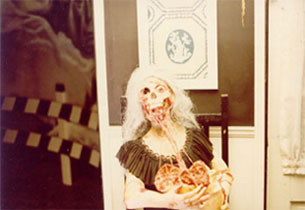 The Manor's existence was brief, cut short in August of 1981 (only the third season of operation) when it was destroyed by one of the biggest fires to ever hit the Wildwood Boardwalk. 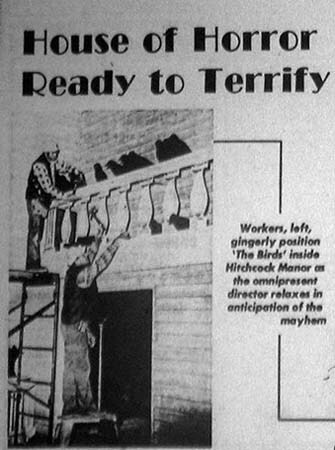 Construction of Hitchcock Manor began in the winter of 1978 and opened for the 1979 summer season. 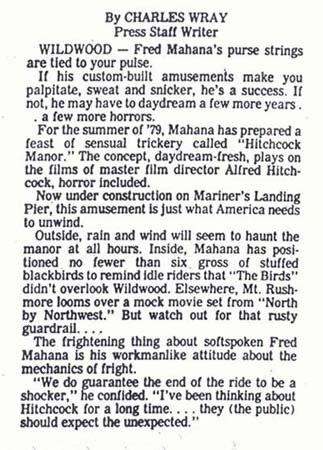 The article shown below comes from an issue of the Atlantic City Press and gives a little insight as to what kind of "scares" the attraction offered. What is even more exciting about this new addition to Funchase are the rare interior photographs that have recently surfaced. 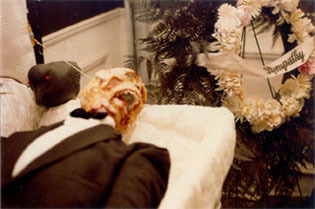 These pictures have been tucked away for more than 25 years and came to me directly from the man who created the gruesome stunts for Hitchcock Manor. 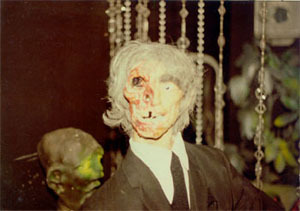 The man is the talented Lou Nasti of Mechanical Displays in Brooklyn New York who in 1980 was hired by the Morey's to crank up the scares in the Manor. 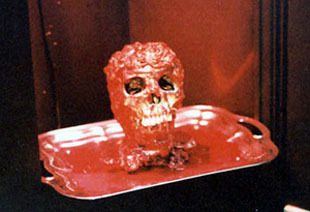 Enjoy the article and exclusive photos that follow and stay tuned for more on Hitchcock Manor. 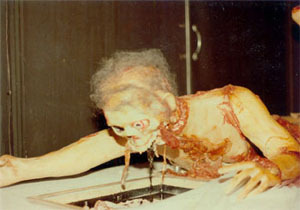 The photo to the left was provided by Perry Weaver. 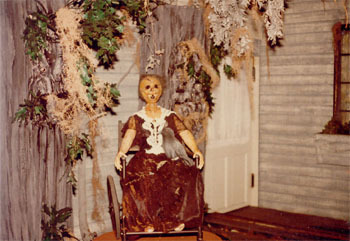 The photo of Mrs. Bates (pictured above) comes from Lou Nasti, who also created the creepy figure. 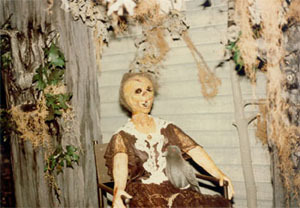 The photos below show some of the gruesome figures that were created by Lou Nasti for Hitchcock Manor. A special thanks to Lou Nasti of Mechanical Displays for sharing his photographs and time. 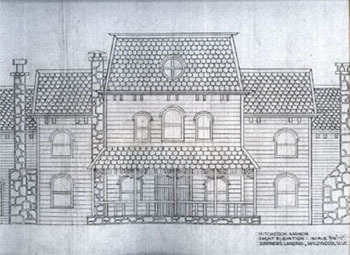 Click on the Manor below to view the original blueprints of the Hitchcock Manor.